In celebration of National Taco Day today, October 4, 2018, Cold Stone Creamery will be serving up ice cream-filled waffle tacos. 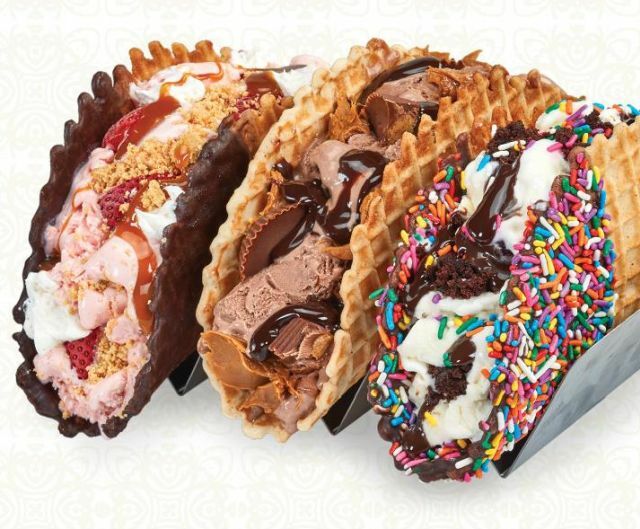 The waffle tacos are available today only and can be ordered with any of the chain's ice cream Creations. The waffle tacos can be ordered in plain, dipped, or sprinkled varieties. If you want something more conventional, waffle bowls and cones will still be available today.